This morning I took to the woods under a cloak of darkness. 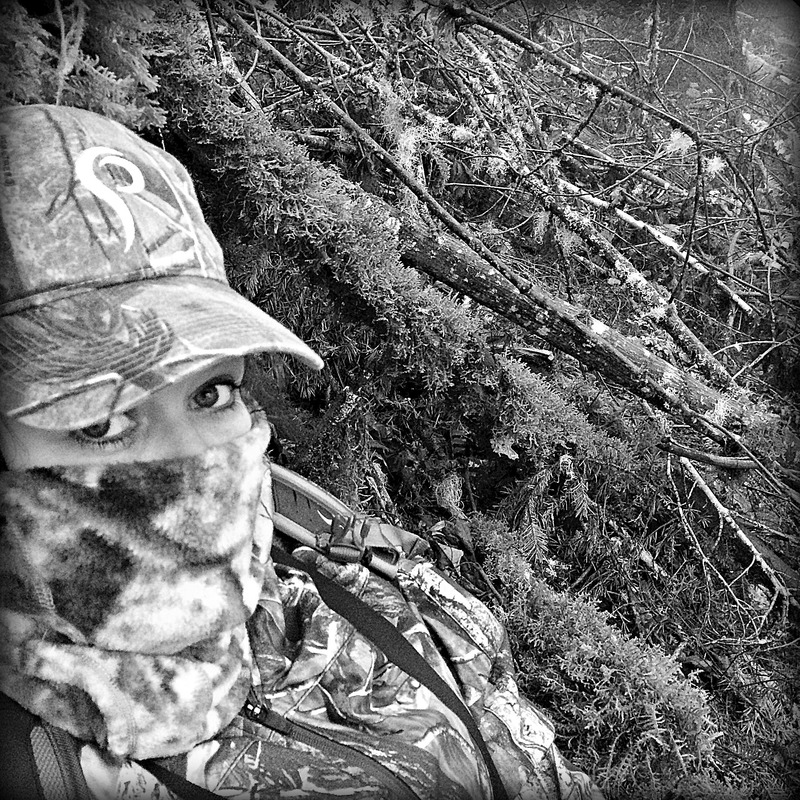 Silently, I found my place and nestled in to sit and watch the forest wake around me. With the sun’s first rays I listened to the birds sing and held hope I would successfully fill my tag. Nothing warms my heart more than when I have the opportunity to watch a child’s smile grow as they discover the great outdoors. This past weekend, I had that opportunity when I attended the 11th Annual Oregon Youth Outdoor Day at E.E. Wilson Wildlife Area with my family, together with the families of 750 other children. For $5.00 a person, participants were allowed to wander from station to station and learn about a variety of outdoor activities, including: shooting sporting clays, archery, rock wall climbing, predator calling, waterfowl calling, wood duck box construction, birdhouse and bird feeder construction, fishing, casting, GPS use, duck decoy paining, elk calling, laser BB shooting, wilderness survival, dog training, fly tying and fly casting, amongst many other outdoor activities. The event is a great place to meet new friends with common interests. Although the event is geared toward first-timers, it was a the perfect refresher for the experienced outdoors kid, as well. Registration provides a day full of fun for each youth, a backpack to carry all their gear, a t-shirt, and lunch. In all my years of outdoors education, I have yet to find another event that offers so much bang for the buck. ($5.00 also bought lunch for mom and dad, too). “Weet Weet” and “Quack Quack”. 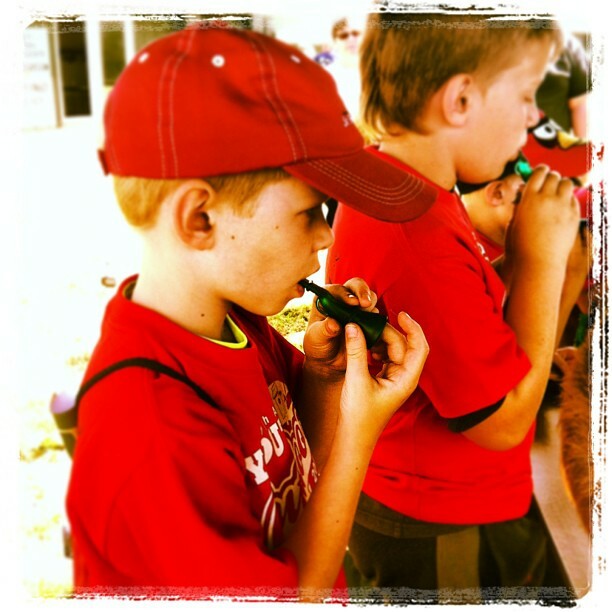 Participants learn the different types of duck calls. Without the collaborative efforts of these organizations, the future of our hunting and fishing sports would be in jeopardy. 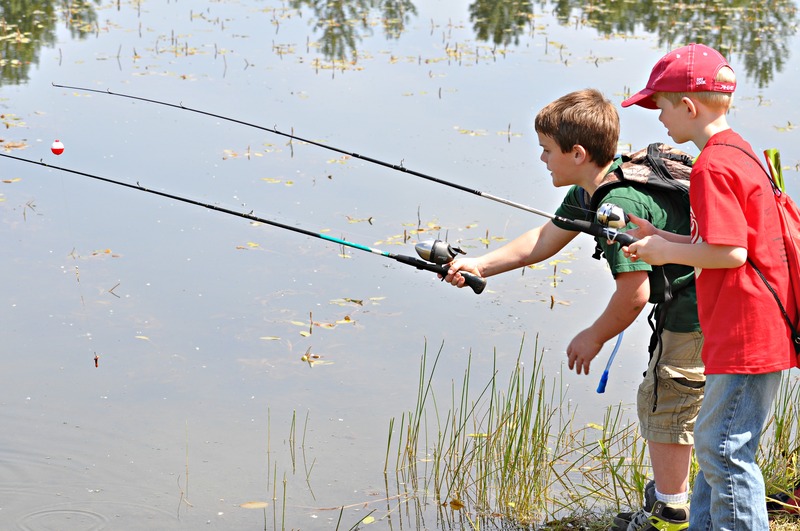 It is imperative that we continue to work together to expose children to the great outdoors. 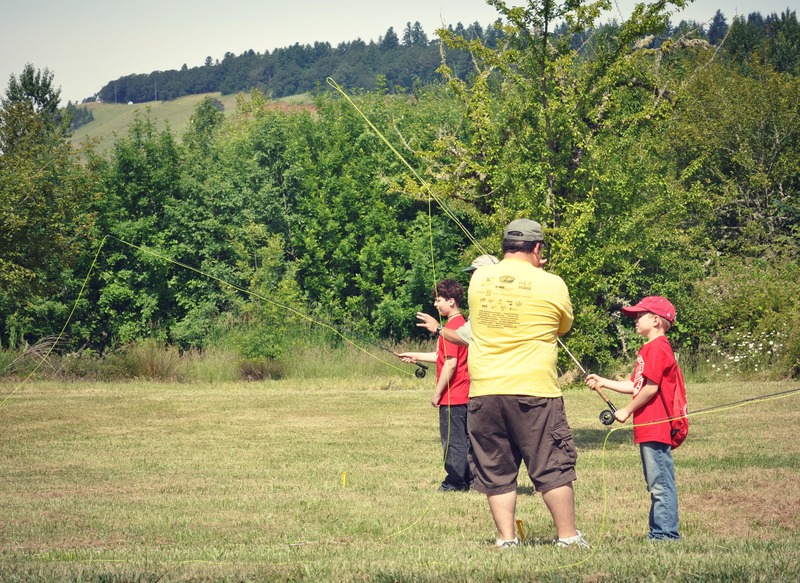 Our family has already set the goal of bringing someone new to the event next year, someone who has never experienced what it is like to catch a fish, shoot a gun, or launch an arrow at a target. 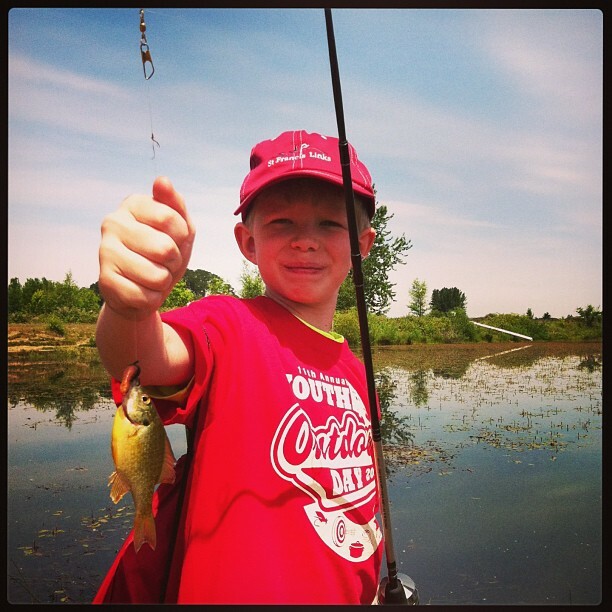 Who do you have in your life who should be introduced to the outdoors? Have you taken the time to do so? Next time you head out to your favorite lake to cast a line, or up to the mountain to scout, take a first-timer with you and open their eyes to a whole new world! 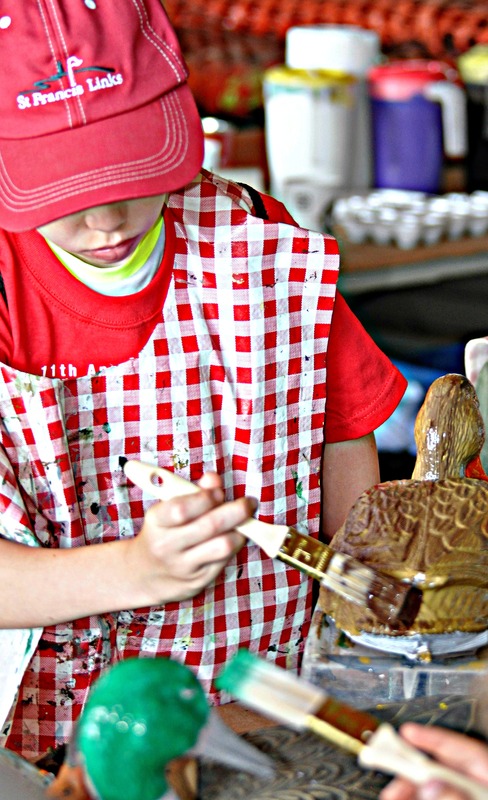 Each child went home with a custom painted duck decoy, compliments of Ducks Unlimited. Participants receive hands on fly casting instruction. Having hunted throughout North America and abroad, I can safely say my time best spent in the field has been with my son, Wyatt, right here at home in Oregon. There is nothing better than mentoring a young hunter and nurturing their love for the outdoors. This fall my husband and I both drew doe tags in the North Ukiah unit of Eastern Oregon. The tag allows harvest of a doe of any species. 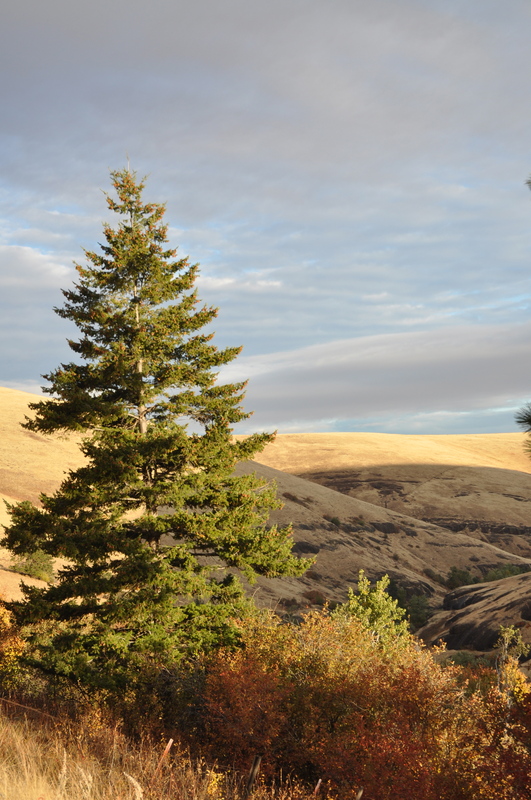 Prominent in the area are both mule deer and whitetail. We knew going into the hunt that it would be a quick and easy adventure, and we would have no problem filling the freezer. Although we would not have a great trophy to hang on the wall and memorialize the experience, that was okay. What we did know is that we would have fun together as a family. In reflecting back, however, I can say the hunt was much more fun than any of us could have imagined. The experience brought much more joy to my soul than any large trophy could ever compete with. The morning started out pretty promising. Before day light we had already seen two dozen deer in the fields as we drove in to our “spot”. Odds were looking good! We parked our truck, checked our gear, and began our early morning trek up the hillside. Slugs and Stinging Nettle- What do they have in common? Prois chicks and ticks… not a pleasant combination.